As the melting Arctic ice cap opens new shipping lanes and makes it easier to access strategic energy reserves, countries are racing to gain control over the Arctic’s abundant natural resources. The Arctic is emerging as the world’s next hot spot for oil and gas development. As the melting ice cap opens new shipping lanes and makes it easier to access strategic energy reserves, countries are racing to gain control over the Arctic’s abundant natural resources. 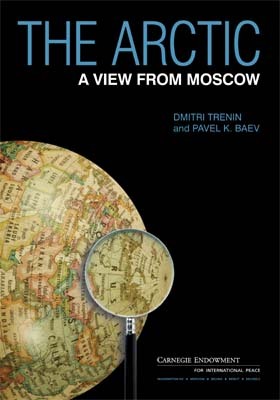 In a report, Dmitri Trenin and Pavel Baev offer a view from Moscow on what the opening of the Arctic means. While there is a strong desire to compete over the resources in order to meet increasing energy demands, Trenin and Baev argue that all countries—with Russia in a leading role—can benefit more through cooperation. Sizable energy reserves. The Arctic potentially contains 20 percent of the world’s oil and gas reserves. The Arctic territory claimed by Russia could be home to twice the volume of Saudi Arabia’s oil resources. Warmer climate. The Arctic’s ice is melting and over time Russia’s Northern Sea Route—linking the Atlantic and Pacific Oceans—could become commercially profitable. Chance for cooperation. Russia should help bring other Arctic countries together—notably Canada, Denmark, Norway, and the United States—to manage the area peacefully and focus on its economic benefits.